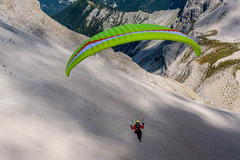 The Yeti 4 is a versatile paraglider, suitable for hike ‘n fly or for thermalling and leisurely XCs. 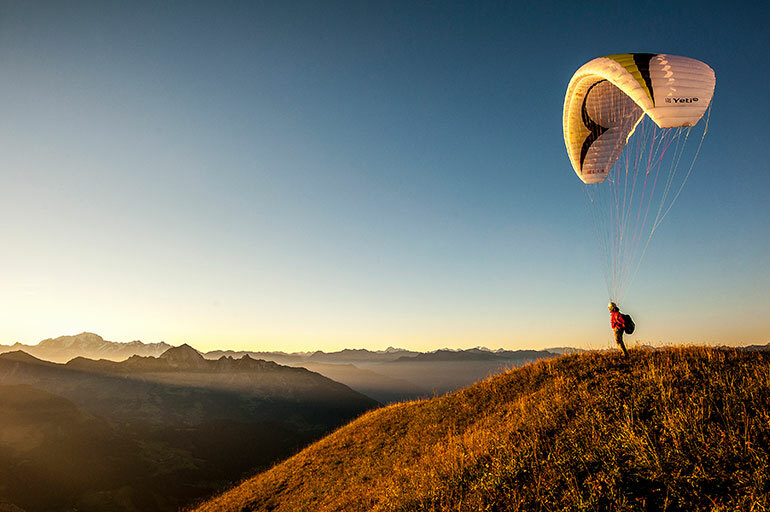 Due to the wide range of sizes, the wing accomodates a wide range of pilots: from beginners and pilots flying less frequently to experienced adventure pilots. 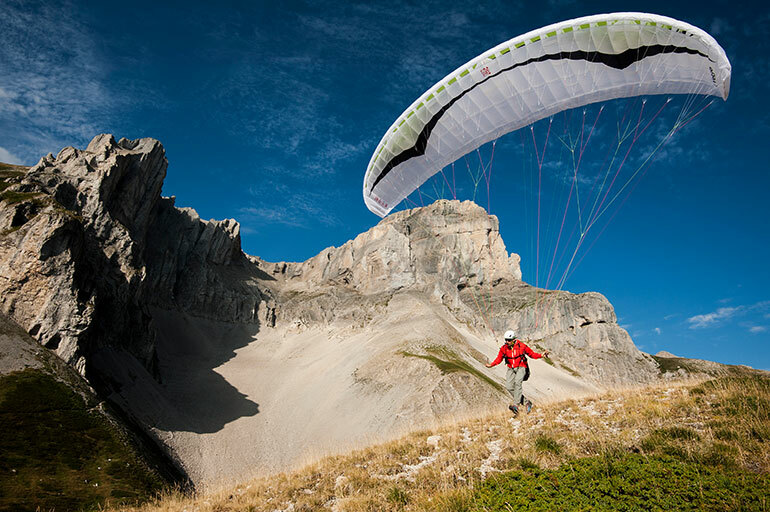 The Yeti 4 brings comfort, ease and simplicity to lightweight paragliding. The Yeti 4 is a 3-liner and is simple to sort out on the ground. 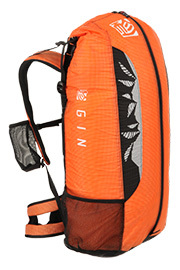 It inflates easily and evenly, even when the terrain or conditions are less than ideal. The low stall speed gets you airbourne quickly and provides a good safety margin for landings. 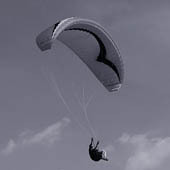 In flight, the turn is responsive and playful, but always co-ordinated and comfortable. 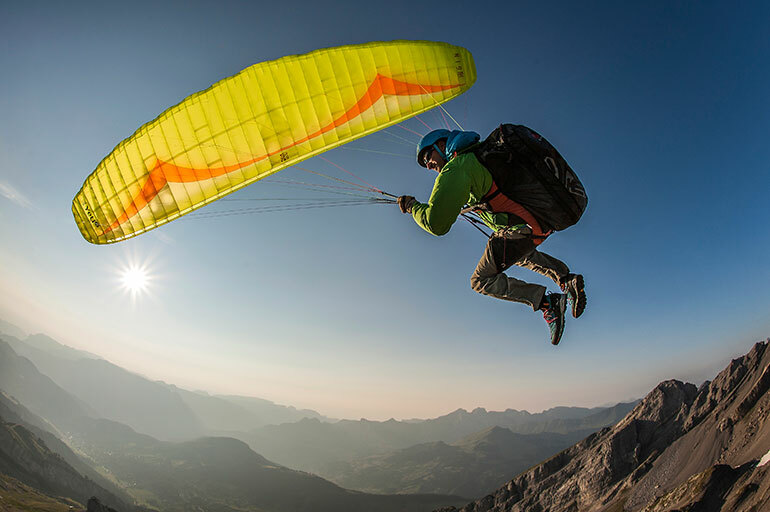 The Yeti 4 is part of a complete range of lightweight equipment that gives you everything you need to enjoy beautiful flights in stunning scenery. Take a Yeti harness, airbag and Yeti rescue — the only things you only need to add are your helmet and sunglasses! 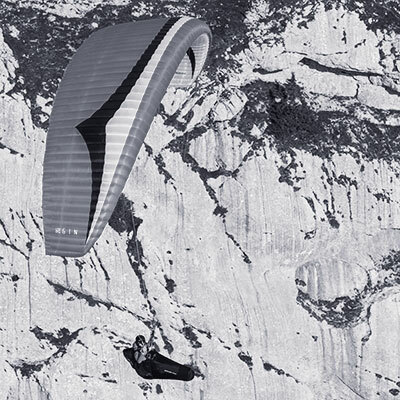 More than just an "ultralight glider"
Our latest EPT airfoil means significantly more glide performance than you might expect from such a stable, low-aspect wing. What’s more, the climb is outstanding—you can get tightly into thermal cores. The Yeti 4 feels so secure that even in the most challenging conditions you’ll be turning back for more. 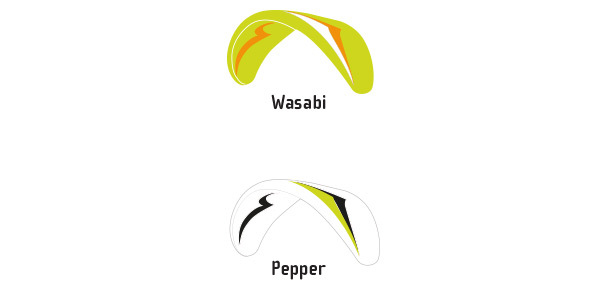 Finely crafted from the most durable lightweight materials, you can expect a long lifetime with normal, careful use. 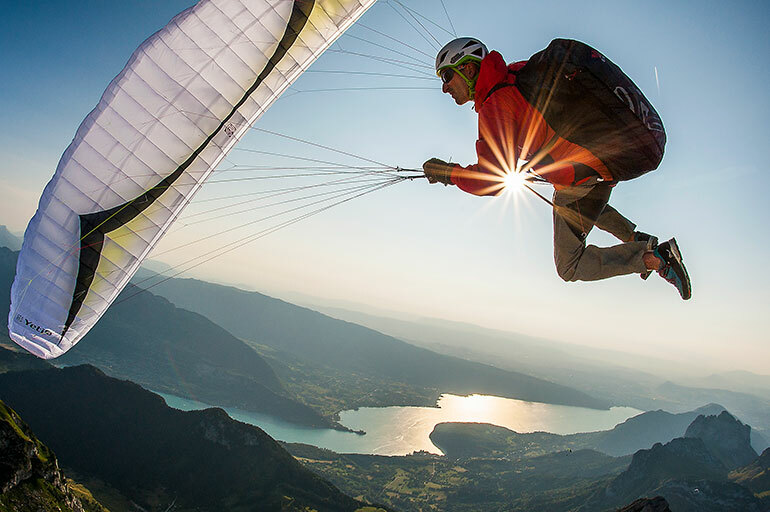 The Yeti utilizes the latest generation of double-coated Skytex fabrics from Porcher Sport. The Yeti 4 has an extended weight range. 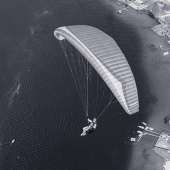 Flown in the normal weight range, low-airtime pilots will discover an easy, well-behaved wing. Flown at a higher wing loading in the extended weight range, suitably experienced pilots can enjoy dynamic flying in stronger conditions. The Yeti 4 is certified EN A in both normal and extended weight ranges. The Yeti 4 comes with standard Kevlar risers and sheathed main and mid- lines for ease of use and durability. 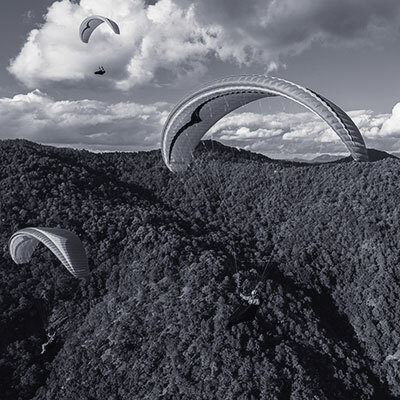 A optional Dyneema riser saves around 300g and makes the Yeti one of the lightest wings of its type. All in all, the Yeti is an outstanding choice for all pilots who prefer minimal equipment and maximal fun. Try it for yourself and discover love at first flight!